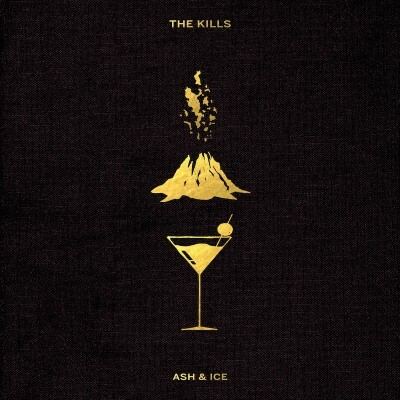 On the surface, Ash & Ice is a prototypical album from Alison Mosshart and Jamie Hince. The arrangements are made up of distorted, bluesy guitar riffs over minimal electronics and Mosshart’s vocals standing at the forefront with Hince adding in backing vocals that are buried in the mix. It’s a formula that the duo has done well for some 15 years. And yet, there is something incredibly different about Ash & Ice. Comparisons to The White Stripes suddenly feel off base. Hince’s guitar playing is less abstract and features a certain Peter Hayes swagger that moves the group closer to the lovechild of T. Rex and The Brian Jonestown Massacre, if they were fronted by The Duke Spirit’s Liela Moss. It sounds hungry, like a debut album where nothing is held back. In the past, there was a sense of detachment. Not that Mosshart or Hince weren’t putting in the effort or offering up the emotion, but compared to this release, the older material feels like it was being forced through a filter. This is every bit as fearless, but there’s an exactness here that was missing before. Purists, don’t fre: The Kills haven’t abandoned their lo-fi aesthetic—they’ve just made the material more direct. Every song, from the opening “Doing It to Death” to the closer, “Whirling Eye,” has a memorable hook. Like The Jesus and Mary Chain and A Place to Bury Strangers, The Kills have always written pop songs. They’ve just buried the traditional aspects of their songwriting in the rawness of the recordings. Ash & Ice doesn’t sound polished so much as it feels celebratory. With good reason, in fact: It was only a couple years ago that Hince thought a hand injury would keep him from ever picking up a guitar again—the future of the band was in question. Hince was forced to try to learn new instruments, one-handed. Fortunately, following a series of surgeries, Hince was able to return to guitar playing. It’s a detail I didn’t know until after I had listened to the album at least a dozen times, but you can hear the euphoria in the mix. Not that Ash & Ice should be misconstrued as a happy record, particularly when it comes to the melancholy of “That Love,” a painfully on-the-nose song about a dysfunctional relationship. The track breaks up the uptempo nature of the album before pushing back into the groove of “Impossible Tracks.” The juxtaposition is a bit rough. I probably would have placed “That Love” as the album’s closing track, or at least swapped places with “Echo Home,” the album’s other slightly slower, more atmospheric track, which comes second to last. Some might suggest removing “That Love” and “Echo Home” altogether, but I think that they offer a sense of variety and depth that the album needs.